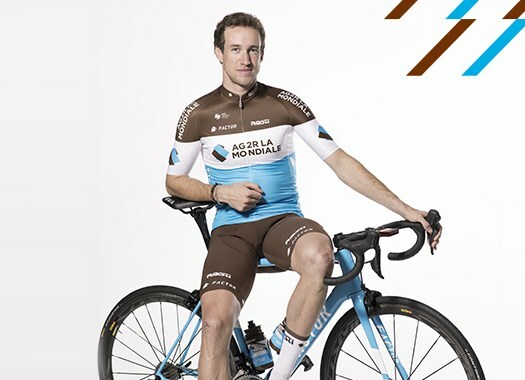 AG2R-La Mondiale's Alexandre Geniez thinks the route of the 2019 Tour de France suit him well and stated that he will do everything he can to start at the race. The Frenchman started for the last time at his home country Grand Tour in 2015 and after waiting for three seasons to be in it again, he thinks the next edition could be his comeback. "It's a great course," commented the rider to French newspaper Center Press of Aveyron. "At the end, the race should have something very interesting for a rider with my characteristics." For the three-time stage winner at the Vuelta a España, the French grand tour will be one of the main objectives for the next season. "I aim to participate in the Tour de France," Geniez stated. "Clearly, I will do everything to not be at the Giro d'Italia and that I am able to start at the Tour de France in the best possible shape." The final decision of Geniez' participation at the Tour de France will be taken by the leaders of AG2R La Mondiale, taking into account the opinion of Romain Bardet who will likely be the main man of the team at the Grande Boucle. "There is going to be a lot of high altitude at the race and I think that is nice," he explained. "There are also nice stages in the Pyrenees. The race will also pass through Aveyron, my home, and the stage that starts at Albi finishes in Toulouse, where I did my studies."